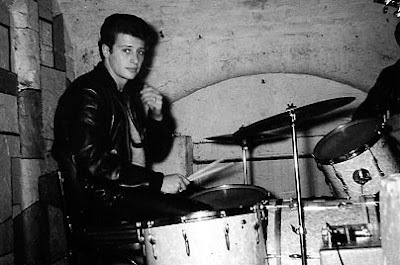 Beatles FAQ: Who was Pete Best? Pete Best's mother Mona ran the Casbah Coffee Bar in Liverpool .... We'd started to go round there and we'd ended up painting the place. And after we'd painted it up, it was our club - The Beatles used to play there. Pete had a drum kit so he would sometimes sit in with us. He was a good drummer, and when Hamburg came up he joined us. He was a very good-looking guy, and out of all the people in our group, the girls used to go for Pete. Pete Best was The Beatles drummer from August 1960 until August 1962. He was with them in Hamburg and even at their first Abbey Road recording session. He played an important role in establishing The Beatles popularity in Hamburg and Liverpool. And yet by the summer of 1962 the other Beatles were plotting against him. Using the pretext that George Martin had rejected his drumming as sub-standard (see here) they approached Ringo Starr, an old friend of the band from Hamburg. Ringo was then working with Rory Storm and widely considered Liverpool's best drummer. In Hamburg Ringo occasionally stood in for Pete, but it was a badly timed illness on Pete's part that presented the opportunity for what turned out to effectively be an audition. The other Beatles liked what they saw and heard, 'it felt right', said George later. How did The Beatles tell Pete the bad news? They didn't. In act that Lennon later conceded was 'despicable' they delegated the dirty deed - see here. 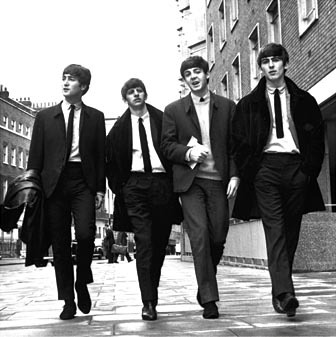 Once they had confirmation that Ringo would join The Beatles, the other three acted. Or rather they got Brian Epstein to act, instructing him to inform Best that he was no longer a Beatle. Very reluctantly Epstein invited Best to the NEMS shop. After a short meeting Best was out on the pavement and out of the most successful band of all time.